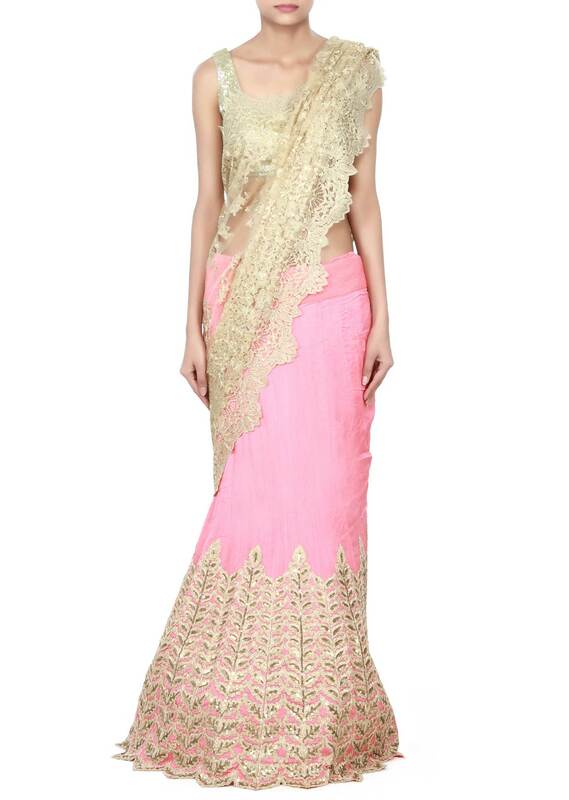 Pink and Gold Net Saree Lehenga Adorned with Sequins and Zari. The pink and gold net lehenga comes with foliage motifs that are embellished with sequins and zari. 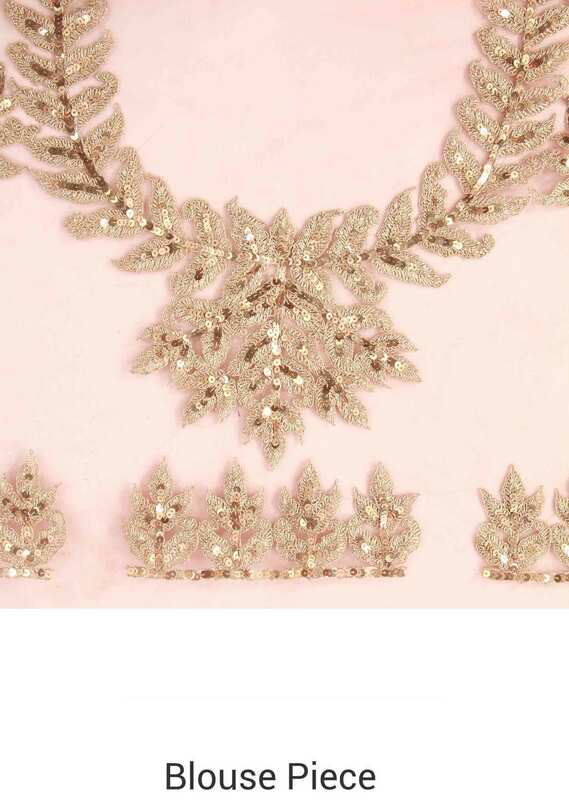 The beauty of the beige pallav in embroidered net is enhanced by the floral patterns. 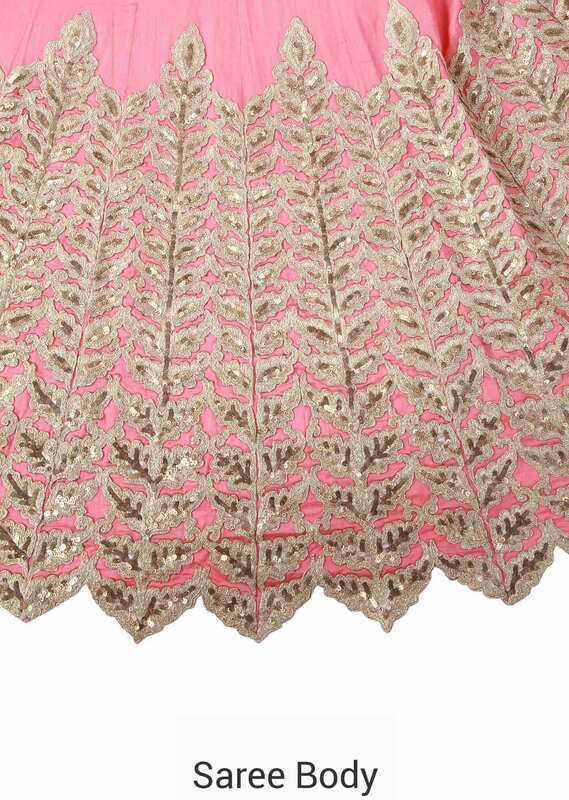 The unstitched pink net blouse too showcases sequins and zari work that go well with the overall style of this ensemble.